Google announced its new communication apps Allo and Duo at I/O 2016 event, that took place in May this year. Out of the two, the Google Duo will be available starting from today; it is now up for Pre-registration on the Play Store. 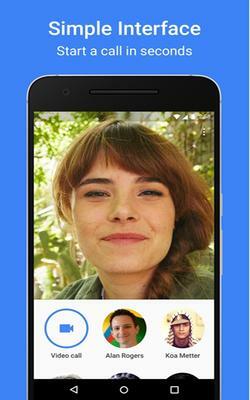 Google Duo will compete with apps like Apple’s FaceTime, Snapchat and Skype. 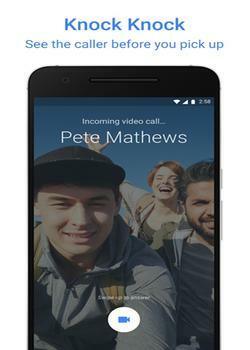 With Google duo the company aims to make video calling, as simple as possible. 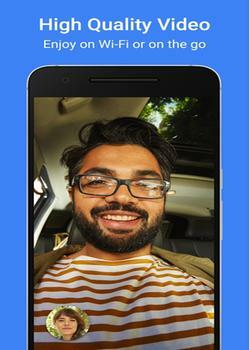 Google Duo’s aim is to take the complexity out of video calling; it is designed to be simple and reliable. The app has a pretty simple interface, to get started, all you need is your phone number and you’ll be able to reach people in your phone’s contacts list. No separate account is required, so you can sign up in just a few steps. When you open the app you will see your front camera view with icons to access all contacts, and people you have called recently. Just tap on anyone and you will be connected. In addition Call quality automatically adjusts to changing network conditions to keep you connected — when bandwidth is limited, Duo will reduce the resolution (like youtube) to keep the call going smoothly. Moreover, for video calls on the go, Duo will switch between Wi-Fi and cellular data automatically without dropping your call. Google Duo also have some intelligent features like Knock Knock which lets you see live video of your caller before you answer, giving you a sense of what they’re up to and why they want to chat. Knock Knock makes video calling more spontaneous and welcoming, helping you connect with the person before you even pick up. 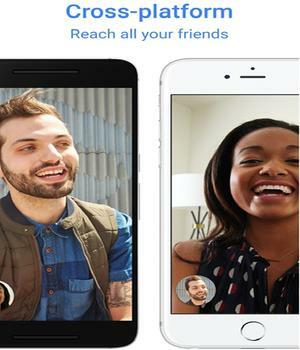 Google Duo will allow video calls across Android and iOS devices, it will be available from today, you can pre register here, to get notified when its available. Another app Allo that was announced with Duo, will also be released in a few days. Unlike Duo, Allo is a messaging app that makes conversations easier, more productive and expressive. You can pre register for Allo, here, to get notified when its available.